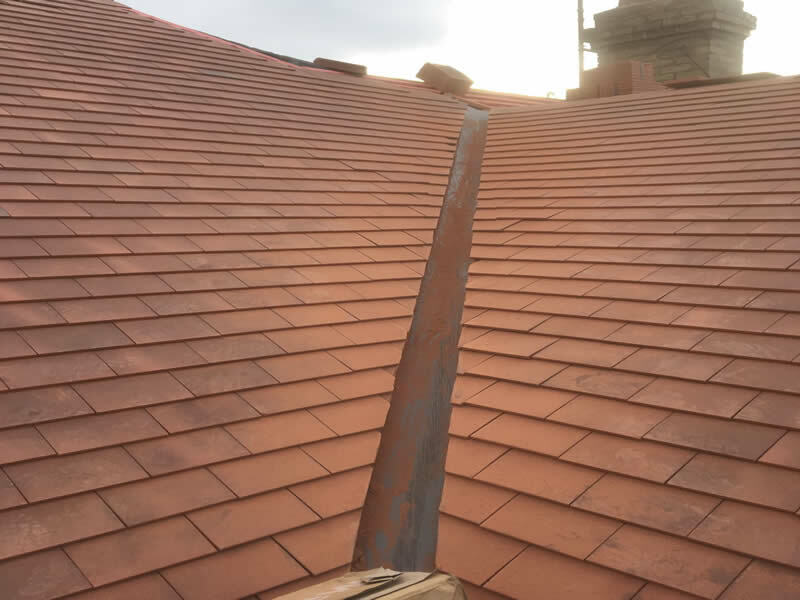 On this roof that we recently renovated in Cambridge my roofers had to combine a lead roof with a single membrane roof. The system to the left is Trocal single membrane roofing and to the right is lead roofing. The lead work is 20 year old code 8 (lead density) and we have done a good job of seamlessly marrying the Trocal single membrane into it. If you need any single membrane roofing or lead roofing needs in Cambridge or Cambridgeshire go to our website and please make an enquiry.